I bought this as well. 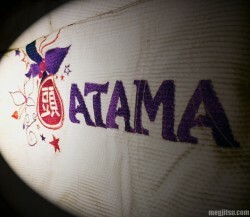 I have a previous Atama women's gi — the white with big pink patches (but it fits perfectly, so I forgive them) (maybe the #7?). I got the same size as before (F2/F2), but the new jacket is definitely bigger and longer; it's been through hot water and the dryer and shrunk a little. The pants fit me well, too, though mine didn't come with the Kyra Gracie patch; one of the little girls got this for Christmas, too, and hers also has the correct patch on the pants. I think you're just lucky (or not?) on that one. Great review Meg! But you're not missing out with the lack of ripstop pants on your gi – not only do they feel weird against your skin when damp, but the white ones have a tendency to become slightly see-through when wet as well!! I understand what you're saying, shakiharris, and I am sure many female grapplers would agree. Happily, there are such options at the moment! Tatami Fightwear in the UK has a women's line with a range of colours and designs, which includes much less 'girlie' options. Fenom Kimonos in the US makes the Lotus women's gi which is white with black detailing. Hey, thanx for a great and useful review! How do the F2 pants fit, and do you know the length for the inseem of the pants after shrinkage? Glad you liked it, Kira. Thanks for your comment! The F2 pants fit me perfectly. The inseam after many many washes at a higher than recommended wash (so fully shrunk) is 70.5cm. That is measured from the top where the crotch seams intersect to the bottom of the pant leg. 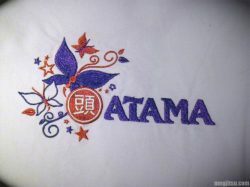 It seems Atama make the women’s kimonos in a different cut but no one else really bothers. In your experience do manufacturers who sell women’s kimonos actually make an effort to make sure the kimono is a different cut or is it usually just a different colour and different sizing system? Maybe you can help me. I’m a big girl and I have a Fenom classic in a size 3. I also have the atama Leticia limited edition in F4 and it’s to small in my tummy. I would like to order the new predatora and I’m not sure what size to get. Is the predatora sizing more similar to the fenom or the atama leticia? I’m short and big in the middle. Thanks so much.